The sorting hat has come to San Francisco! Discovered in an arcade of a time well past…a collection of relics…mechanical brilliance for the period in which they were constructed. 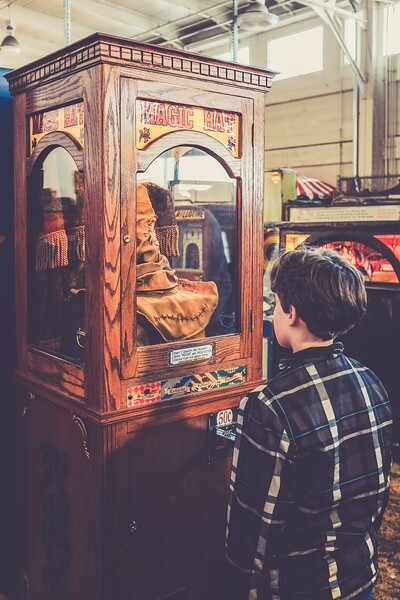 Whimsical machines and toys whirl around to delight the eyes of modern citizens! To delight the eye and puzzle the mind. To ponder upon the difference between the whimsy and creativity of the early twentieth century to the commercialism of the early twenty first arcading. How did we get here? from there? and where’s my whiskey? But more importantly – which house do you think he wants to be placed in? !